Do you perform well in practice, but find yourself under-performing in games? Do you doubt your skills and second-guess yourself under pressure? Do you lose confidence after mistakes? Or are you looking to improve your game by increasing mental toughness? If so, mental training with Dr. Patrick Cohn will help you reach your goals in soccer. Many soccer players have the skill but are held back by low confidence and lack of pregame mental preparation! Mental training will give you the mental edge in practice and games. I’m become so frustrated with myself after mistakes. I feel like I lose my confidence when I’m in competition or under pressure. I train hard and have the skills, but my mind gets in the way. I feel like I my performance is tight, cautious or that I try to not make mistakes in competition. I want to take my game to the next level and increase my mental toughness. If the above statements sound familiar or you, then you will benefit from our soccer mental training program. Uncover the mindsets that prevent you from performing your best. Master the mental strategies that will help you play with focus and composure. Learn how increase confidence and overcome self-doubt. Receive a customized mental game plan based on your individual needs. Dr. Patrick Cohn is a mental training expert at Peak Performance Sports. Dr. Cohn works with athletes and teams worldwide from a variety of sport backgrounds including soccer players and coaches. 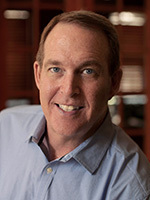 As the president and founder of Peak Performance Sports (Orlando, Florida), Dr. Patrick J. Cohn is dedicated to instilling confidence and composure, and teaching effective mental game skills to help athletes, teams and corporate professionals perform at maximum levels. In addition to working with athletes and teams, Dr. Cohn teaches parents, coaches, and athletic trainers how to help soccer players achieve peak performance through mental game skills. Our soccer specific assessment will help you identify what mental game barriers are hurting your performance in soccer. You will be given a custom game plan based on your specific challenges. The mental game plan will act as a road-map for your mental training sessions. The mental game plan will outline exactly what mental strategies will help your performance. In person, phone, or by Skype (Four, 45-minute coaching sessions). Each session is designed to teach you how to apply mental strategies for practice and games. You will work directly with Dr. Cohn and learn how to improve your mindset and performance in soccer. You are welcome to email our staff with any and all questions you have during the course of your mental training program. After each session, you will receive a workbook specific to the topic discussed that day. You will be able to practice and apply the strategies between sessions. Call Us Today to Schedule Your Free 15-Minute Session. Find Out How You Can Benefit From One-on-One Mental Coaching! Please contact us today to learn how mental coaching works and to request pricing on all mental training programs for soccer players. Complete the form below to contact us via email or call us toll-free 888-742-7225.